Our PrincetonOne colleagues in Austin recently held a food drive which resulted in more than 300 pounds of food for the Central Texas Food Bank. Their donations will help provide 213 meals for fellow Austinites at risk of hunger. 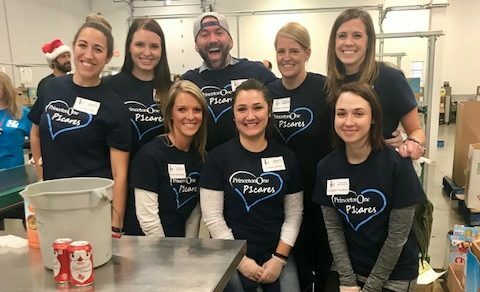 On December 14, the team delivered the food and enjoyed a gratifying day of sorting, packing and stacking nearly 11,000 pounds of donations for the food bank’s shelves. The sorted food will help feed almost 9,000 members of the Austin community.